Krishnapatnam Port Company Limited (KPCL), the country’s largest all-weather, deep water port, on the east-coast of India, has announced that it has obtained permission from the Central Government of India for import of scrap. The service will be facilitated with the installation of advanced Rapiscan system set up at the port enabling customs to inspect the scrap cargo without having to conduct an open examination. With a drive-through container scanner at the port, KPCL now provides metal scrap importers with immense ease of operations. The KPCT container scanner will facilitate scanning of scrap trucks and containers trailers for factory de-stuffing while taking delivery without additional delays for handling. 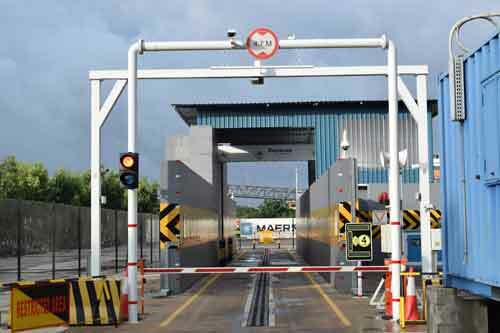 Further, since the DPD (Direct port Delivery) facility is not available for shredded scrap at any of the nearby ports, the new service in place at Krishnapatnam Port will offer the advantage of lower handling cost and improved throughput time, especially for those who undertake de-stuffing at the factory. Metal industries located in and around Andhra Pradesh, Telengana, Tamil Nadu, Karnataka and Maharashtra, who are presently using port facilities farther away from their factories and incurring higher transportation cost can avail immense value with the service. In addition, the road route from KPCT to the steel manufacturing hubs is congestion free and faster compared to the roads of other ports, which will expedite delivery of consignments to importers.